Each letter is a shape unto itself, a shape that may serve as an illustration, as an icon, as a vessel, or as a graphic focal point, apart from its meaning as an alphabetic unit. 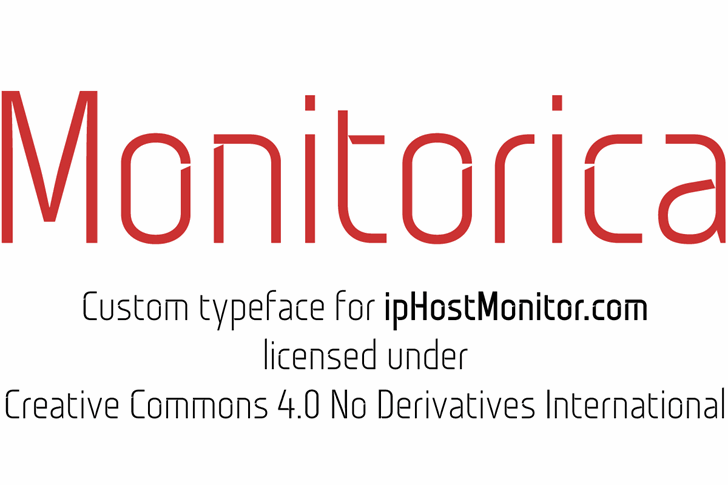 Monitorica stencil fonts consists not only of capital letters with rounded edges and thick main strokes, but has everything needed for fine body text as well. 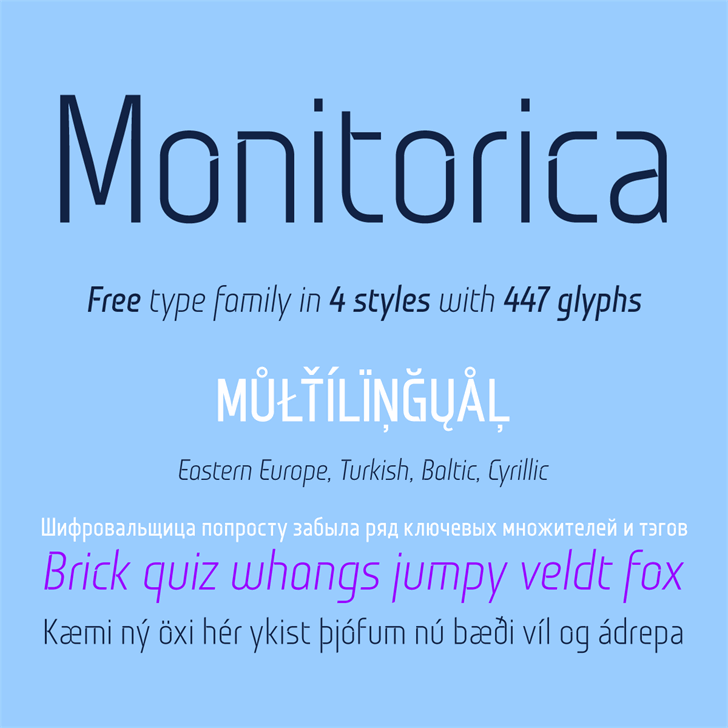 Since 1937 stencil was common font for army-themed displays, but let there be peace, Monitorica! Could you please add: "Peso Currency" (₱)? Creative Commons <br>Attribution-NoDerivatives 4.0 International (CC BY-ND 4.0) <br> <br>You are free to: <br> Share  copy and redistribute the material in any medium or format <br> for any purpose, even commercially. <br> <br> The licensor cannot revoke these freedoms as long as you follow the license terms.